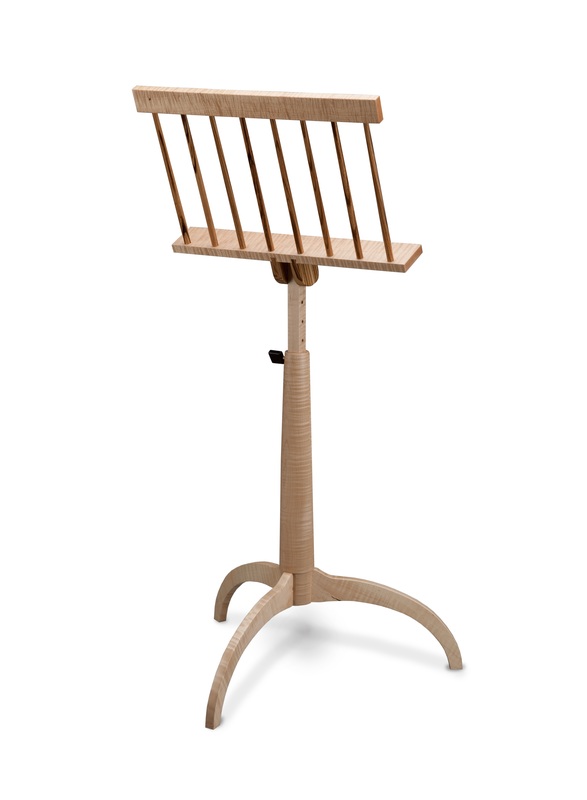 The harmonious design and expert craftsmanship of this handcrafted music stand highlight the natural beauty of its tiger maple and zebra wood. 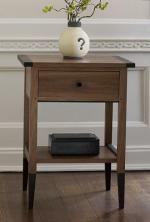 Solid wood construction in a pleasant and functional shape. Piece would add harmony to any room when not practicing. The pin system and swinging holder, make it easy to play standing or sitting down. Handcrafted, solid wood construction ensure that the piece is as well-built as it is beautiful. Two-coat lacquer finish.